The Coalgate Tavern (3kms) offers Bistro Meals. In Darfield (13kms) is the Darfield Hotel, Terrace Wine Bar and Darfield Bakery. The Glentunnel General Store in 500m across the road and offers all the necessities as well as good coffees. 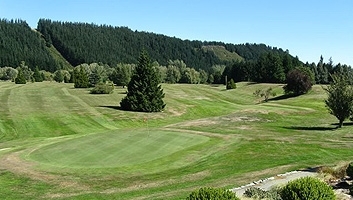 Hororata Golf Club – 18 holes of rolling fairways and undulating greens - $20 green fees or weekly rates available – Clubs can be hired from the camp. Terrace Downs Resort and Golf Course (20 mins) – set amongst the spectacular scenery of the Rakaia Gorge. Restaurant and bars available to the public as are spas and other activities. Coalgate Bowling Club (3 mins) – all weather greens mean you can play bowls all year round. Competitions are run on a regular basis. Jet-boating adventures are available in opposite directions on both the Rakaia Gorge and Waimakiriri Gorge. 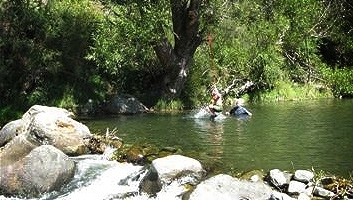 Rubison Horse Treks – These are situated at the base of the Southern Alps at Springfield (20 mins) A large variety of treks for the beginner through to the expert. Ski-fields – There are a number of world class ski-fields within 40 minutes drive including Mt Hutt (30 mins) and Porter Heights.